Cheesehead Gardening: Warm weather makes the hostas go pop, plus plant sale date! 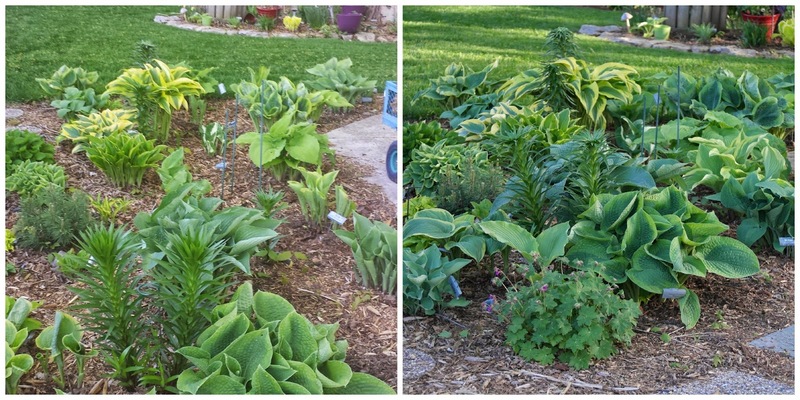 Warm weather makes the hostas go pop, plus plant sale date! Our recent warm weather has really made the hostas pop! The picture below were taken over a two day period of time. It's amazing how fast they grow. Also, we have set a date for the plant sale. Mark your calendars for Saturday, June 21st in Appleton! More details will be posted closer to the date of the sale. Erin and I are also working on a new episode of Cheesehead Gardening too! Looks like you're a week or two ahead of us. What do you do in regard to fertilizing this time of year? I usually do not fertilize my hostas, just my container plants. I use Osmacote with them. I love this episode of cheese head gardening.It is one of my favorite shows and I never miss it at any cost.Good stuff.